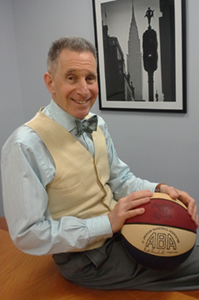 In 1980, four years after the National Basketball Coaches Association (NBCA) was founded, Michael Goldberg became its first Executive Director. Michael built on the existing foundation of the NBCA and guided it during the years of explosive growth of professional basketball. During his tenure as Executive Director, Michael gained increased benefits for NBA coaches and unique marketing opportunities in partnership with the NBA. He represented numerous coaches in contract negotiations and secured marketing and broadcasting opportunities for the Association’s membership. Prior to joining the NBCA, Michael served as General Counsel for the American Basketball Association where, along with its late Commissioner, Dave DeBusschere, he guided the League until its merger with the NBA in 1976. In 2017, Michael received the coveted John W. Bunn Lifetime Achievement Award from the Naismith Memorial Basketball Hall of Fame. The Bunn Lifetime Achievement Award was instituted by the Board of Trustees of the Basketball Hall of Fame in 1973 and is the most prestigious award presented by the Hall of Fame outside of Enshrinement. Since 2017, the NBCA has honored its first Executive Director through the Michael H. Goldberg NBCA Coach of the Year Award. The Award recognizes the dedication and hard work of NBA Head Coaches. It is presented annually to a Head Coach who helps guide his players to a higher level of performance on the court and shows outstanding service and dedication to the community off the court. The Award honors the spirit of Michael H. Goldberg who set the standard for loyalty, integrity, love of the game, passionate representation, and tireless promotion of NBA Coaching. It is unique in that it is the only award voted upon by the winners’ peers, the Head Coaches of all 30 NBA teams. 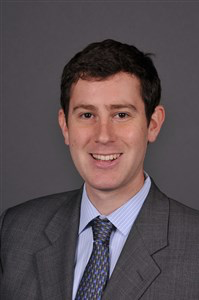 David S. Fogel joined the NBCA in 2013 and became the Executive Director in 2017. David currently manages core areas of the day-to-day legal and business operations of the NBCA. 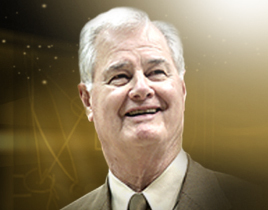 His main responsibilities include representing and promoting coaches both within and outside the NBA, serving as liaison between the coaches and the NBA, managing and overseeing the Pension, 401(k), Disability, and Annuity benefit packages, engaging in marketing and other promotional opportunities, conducting the NBCA fine appeals process, reviewing employment contracts and severance disputes, and overseeing all responsibilities and duties in connection with a labor organization. Karen Marrero joined the NBCA in 1998. As the NBCA’s Director of Communications, Karen handles multiple responsibilities for the NBA Coaches Association such as everyday coaching staff communication, working on the Association retirement benefits (including the Coaches Enhanced 401K Program, Long Term Disability Program and the Supplemental Retirement Annuity Program). In addition, she is responsible for compiling and distributing the annual NBCA Salary Survey and tracking Coaches Dues and marketing payment distributions. Karen also assists with various NBCA marketing initiatives including the NBA Coaches Joseph Abboud Apparel Program, Allen Edmonds Shoe Program and Shinola Watch Program. Brian D. Polivy joined the organization in the fall of 2017. Brian previously served as an Assistant Corporation Counsel for the New York City Law Department in their Labor and Employment Division. At the Law Department, Brian defended city agencies such as the NYPD, FDNY and New York City Department of Education in employment discrimination lawsuits and handled all phases of litigation. At the NBCA, Brian works alongside Executive Director David S. Fogel in managing all day-to-day legal and business operations for the Coaches Association. These duties include; negotiating, drafting and reviewing employment contracts, and licensing and marketing agreements as well as evaluating new business opportunities for the NBCA. Stan Morken has been the NBCA’s Financial/Retirement and Benefits consultant for the past 25 years. Stan assists the Office of the Executive Director, and the Association members in all aspects of the NBA Coaches Association Retirement Plans. Stan has held an industry securities registration for over 30 years and is registered with both the SEC and FINRA. George Mundell and his predecessor, Delight Green, have worked with the NBA for over 27 years. He has assisted in all aspects of the NBA Coaches Association Supplemental Retirement Annuity Program for the past 20 years. He has developed a lasting relationship largely based on the confidence his clients place in his personalized portfolio management approach. 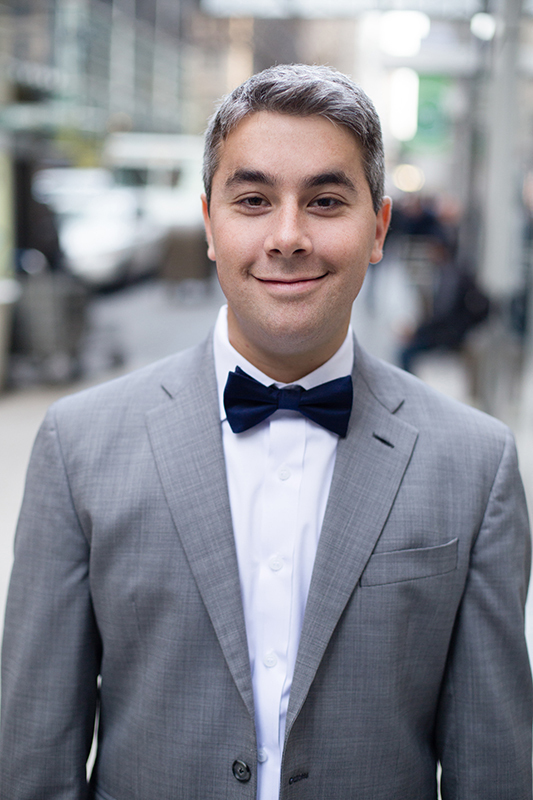 George is both a Certified Financial Planner, as well as a Certified Investment Management Analyst. Stacy passionately leads the Savorfull team as it sources outrageously delicious free-from foods for its online platform, which easily connects clients to discover and purchase the latest healthy food products, as well as to nutritional guidance and content. A member of the Quicken Loans Family of Companies, Savorfull also provides innovative nutrition programs for businesses, organizations as well as numerous professional and collegiate sports teams. Creating Savorfull has been the culmination of Stacy’s 20-year career and dedication to healthy living. She has educated thousands of clients and has her pulse on the free-from food industry, by traveling to food shows across the world to identify healthier alternatives. 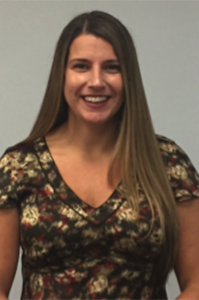 A graduate of The University of Michigan School of Nursing with a Bachelor’s Degree in the Science of Nursing and a Registered Nurse, Stacy also holds a Master’s Degree in Public Health, specializing in Human Nutrition from The University of Michigan School of Public Health. 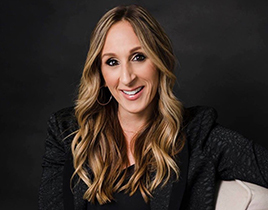 Stacy is a nationally recognized nutrition consultant and has worked with many teams in the National Basketball Association, including the Cleveland Cavaliers and Detroit Pistons ( Team Nutritionist). Stacy has been named the Official Health and Wellness Consultant/Nutritionist for the NBA Coaches Association. She is also a contributing writer and television personality, as well as serving as a nutrition expert for the NBC affiliate, Local 4 Detroit/WDIV. Stacy has been featured in publications including Sports Illustrated,Well & Good, Shape, Self, Fox News Magazine among others. Stacy recently launched her own column in the Detroit Jewish News titled “Eat Right Now”. Stacy serves as an ambassador for many free-from food companies including KIND, Garden of Life, Siggi’s Dairy and Simple Squares.